The House League Basketball for Junior High is for boys in grades 6-8 and girls in grades 5-8. The program emphasizes fun, equal participation for all players, development of athletic skills and sportsmanship. Teams are comprised of 8-10 players engaging in practices, games and tournaments. Registration opens in August and the program runs from October-February. Visit our Player Registration page for more information on how to register and pay your league fee. Tryouts for the Junior High program are typically held during the first part of October. Coaches and teams will be confirmed and formed by the end of October. 2018 Tryouts will be held October 15 and 16. Please see the Tryouts/Player Evals page for more detailed information regarding this process. Teams are formed through a draft pick process, so requests for certain coaches and/or players to be on the same team will not be honored. Games are held weekly on Saturdays from December through February. 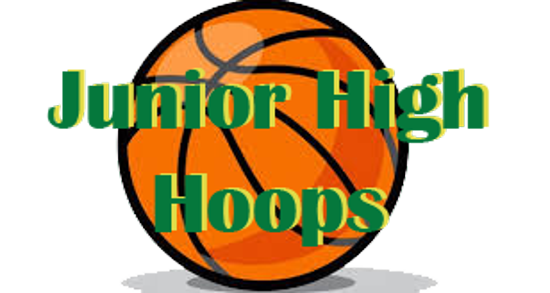 The Junior High program is part of a community league that competes against other teams from Brooklyn Park, Brooklyn Center as well as Osseo/Maple Grove, Champlin/Dayton and Rogers. January 25-27, 2019: OMGBA Mid-Season Tournament. See the Tournaments page for more detail. Practices typically start 2-3 weeks following tryouts. 1 to 2 practices per week are held on weekdays usually for about 90 minutes between 6:00-9:30 p.m. Coaches select their practice times from the available dates/locations. Team practice and game schedules will be posted on their respective team page calendars. Uniforms consist of a single reversible jersey and shorts combination which are provided to each player for use during the season. Uniform deposits are no longer collected, but it is expected that uniforms be laundered regularly following washing instructions on the label. Lost or damaged uniforms will incur a $50-$100 fine at the end of the season. A Night at the Court! What: Meet and Greet with Osseo Senior High Athletic Director, Bill Quan, and Basketball Coach followed by Osseo Varsity Basketball game. Osseo Senior High Football coach will join us at Half time for a meet and greet too! Players who are interested in attending should sign up at: https://www.signupgenius.com/go/30E0F4AABAA23A02-osseo for free admittance to the game. Parents are welcome to attend, but will need to pay the entrance fee to the game. Come learn what being a part of a High School Athletic Team is all about – this is good information for BPAA 7th and 8th grade Boys who are interested in playing ANY sport at ANY High School.